Iron is extremely important for your body as it enables the transport of oxygen in blood. How much iron per day? Offal, cereals and red meat are excellent sources of iron. You may lose iron from your body routinely via blood loss, sweat and the shedding of the intestinal cells. About 1/3 of the population of the world suffers from iron deficiency. Menstruating women have a higher likelihood of being victimized by this condition compared to postmenopausal women and men. So it is important to make sure that your iron intake is enough. The quantity of iron you should take daily depends on your age, gender and whether you’re breastfeeding or pregnant (for women). The following table shows how much iron per day should be consumed by different groups of individuals. When Do You Need More than the Normal Amount? If you lose a lot of blood due to any reason, menstruate heavily, undergo surgery or trauma, you need to increase your iron consumption. Hemodialysis, anemia, inflamed digestive tract or improper absorption of nutrients, kidney failure as well as the side effects of certain medications also require higher amount of iron intake. Consult your health care provider to ensure you are taking the right amount of iron. How Much Iron Do You Need If You Have Anemia? Adults suffering from iron deficiency should take oral iron of around 150 mg to 200 mg per day. Oral iron comes in several types and each type contains different quantity of the elemental iron. Ferrous fumarate is a tablet containing 106 mg of elemental iron; ferrous sulphate contains 65 mg; ferrous sulfate liquid contains 44 mg; and ferrous gluconate is a tablet with 28 mg to 36 mg of elemental iron. Iron sulfate is the most cost-effective type of oral iron. But you must talk to your doctor before determining which type of oral iron to consume. Now that you know how much iron per day is needed, you may wonder where you can get the required amount of iron. Generally, balanced diet helps you stabilize your iron requirements. 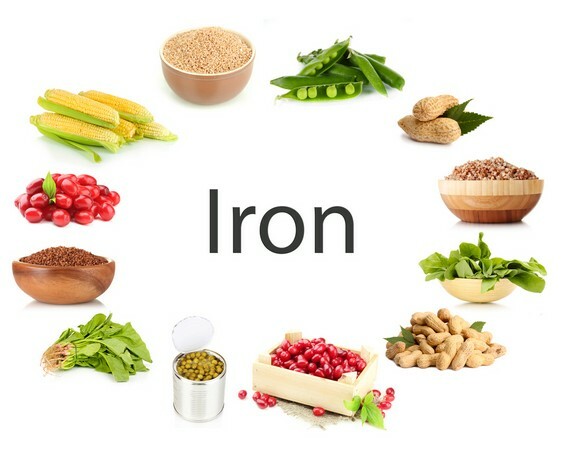 Iron exists in two types: haem iron which is found in different flesh foods like fish, chicken and red meat; non-haem iron which is present in plant-based foods like iron fortified cereals, wholegrain breads, certain veggies and legumes. Your body can absorb haem iron about five times better than the non-haem iron. To boost the non-haem iron’s absorption, you should consume foods containing vitamin C, such as kiwi, tomatoes, broccoli, capsicum, berries and oranges. Avoid excessive consumption of coffee and tea since they inhibit the absorption of iron. Iron supplements should be consumed by people suffering from an iron deficiency as well as by pregnant women. You must consult your health care provider about how much iron per day you should consume prior to taking these supplements as iron in excess can result in stomach pain, nausea and constipation. It is best to take iron supplements on empty stomach prior to sleeping instead of taking it with a meal or with other supplements. How Much Iron Per Day Is Too Much? The highest dose that can be taken safely every day for adults is 45 mg. Children under 14 year old should take no more than 40 mg of iron per day. For people with iron deficiency, it is recommended to consult your doctor before increasing your iron consumption in case iron toxicity takes place. Iron overdose is very dangerous and can even be fatal. It’s also important to note that iron interacts with other supplements and medications, such as calcium, antacids, antibiotics and proton pump inhibitors. Inform your doctor if you are taking any of them. Signs of iron overdose include bloody stools, severe vomiting, metallic taste on your tongue, fluid retention in lungs, dehydration, coma, dizziness, low blood pressure, headache, skin flushing, fever, drowsiness, diarrhea, stomach cramps, convulsions and chills. Iron overdose requires emergent medical attention. You need to call poison control and get medical help immediately.